Here is another Wilburn Burchette gem! WOW, awesome album. thanx a lot! 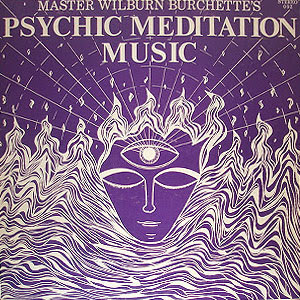 This Wilburn Burchette made some very good records ; amazing atmospheres, sometimes on the edge of scaring... Brrrrr.... Thank you very much Mutantsounds for sharing this ! thank you so very very much for this Mutant!!! I've put up Master Wilburn's "Music from Godhead" on Laser_Beak. I posted a comment yesterday about how i only got Yin, i think there was a download problem, i tried downloading the albumn today and it worked - thanks so much for posting this do you have anymore of his stuff that you plan on sharing?